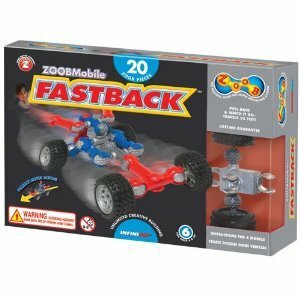 The ZOOBMobile FastBack kit includes everything kids need to make a friction motor ZOOBMobile. There are four different vehicle models to build, or kids can get creative and design their own. Includes powerful pull-back motor that propels ZOOBMobiles up to 25 feet across the floor.